Do you have a legacy version of Microsoft Exchange and want to migrate to the latest version? Is your NJ business in need of enterprise class email, scheduling and collaborative software? Integrated Computer Services can provide your business with comprehensive Microsoft Exchange Server 2010 installation, maintenance and support services. Microsoft Exchange Server Readiness Assessment – We will review your current environment, including the Windows 2000 / 2003 / 2008 domain, network and SMTP architectures. Required changes or issues that may pose undue risk for the migration will be documented over the course of the assessment. 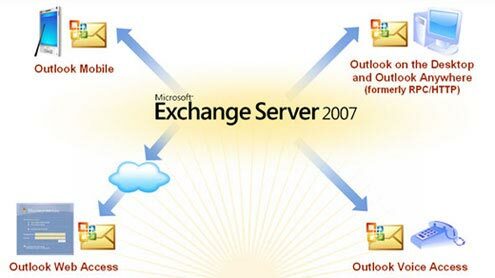 Microsoft Exchange Server 2007 Planning, Design and Implementation – We will analyze business requirements and map them to Microsoft Exchange Server capabilities. Then, the physical and logical design of the Exchange Server architecture will be defined along with the major tasks that will take place over the course of the installation, upgrade or migration project. Microsoft Exchange Server 2007 Support – ICS offers flexible support plans targeted to meet the needs of help desk personnel or IT professionals, including on-site and telephone support. Achieve new levels of performance and reliability with our NJ Microsoft Exchange Server 2010 Installation, Configuration and Support Services. With features that give your organization flexible, cost-effective communication that also simplify your administration, please your users by providing greater mobility and help protect your communications, Microsoft Exchange Server can lower your messaging costs by 50 - 80%. Ever-changing business conditions require you to be agile. Exchange Server 2010 lets you tailor your deployment to your unique needs while providing you with reliability and a simplified way to keep communications continuously available for your users. From virtually any platform, device or web browser, users have the freedom to securely access all of their communications, from voice mail, instant messaging, email and more. When it comes to your email infrastructure, Exchange Server 2010 helps you manage risk while delivering integrated compliance, control and protection tools. Exchange Server 2010 offers built-in protective technologies to keep your business moving, reduce spam and viruses, enable confidential communications, and help your company to be compliant. Exchange Server 2010 enables new levels of operational efficiency through capabilities that optimize hardware and networking investments and features that help make administrators more productive. In addition to benefits and capabilities described above, Exchange Server 2010 offers the best integration with the broadest range of clients. Exchange Server supports a complete Outlook experience, from Outlook on the desktop to Outlook Web Access, Outlook Mobile, and the new Outlook Voice Access, a feature of Exchange Unified Messaging. Exchange Server also integrates with Microsoft Windows SharePoint Services and other Office applications as well as third-party systems and devices.